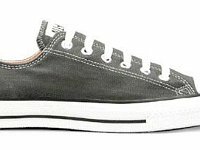 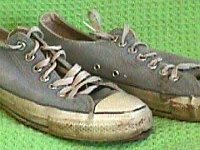 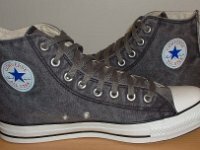 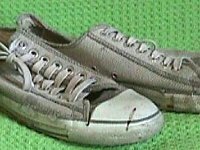 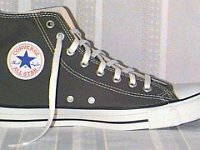 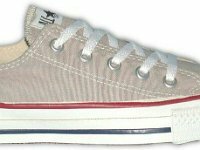 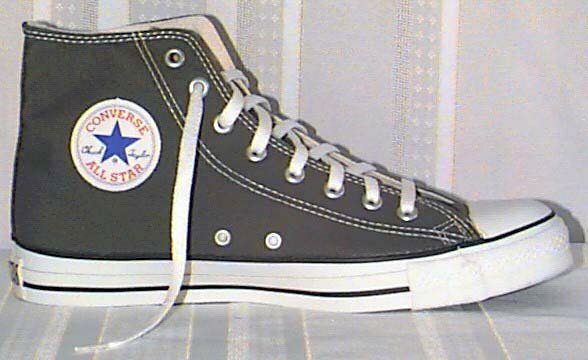 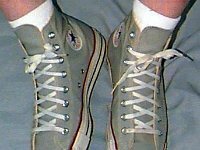 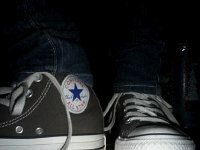 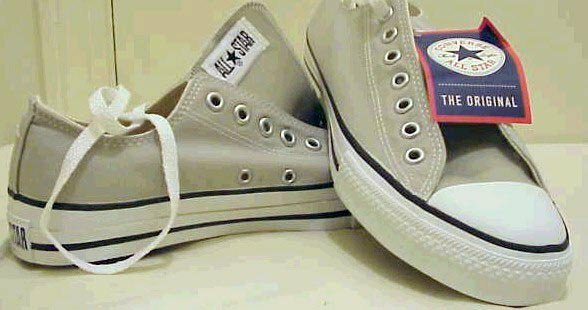 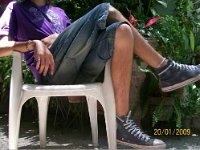 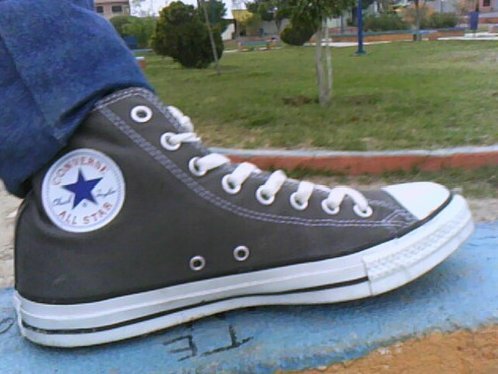 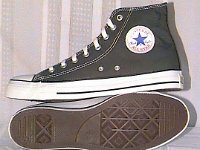 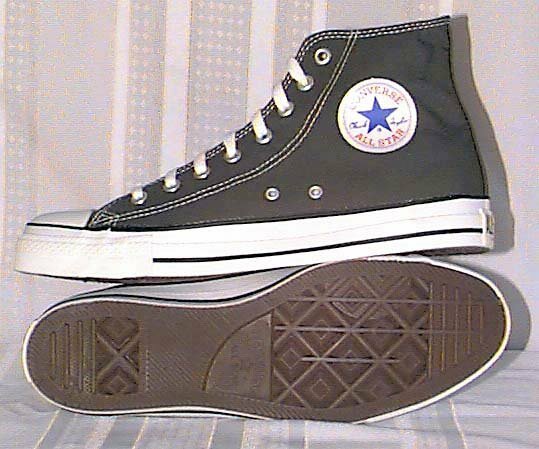 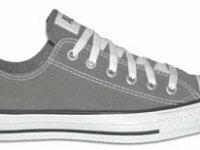 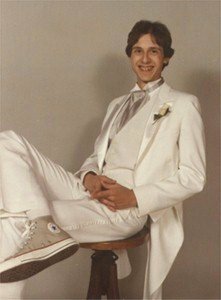 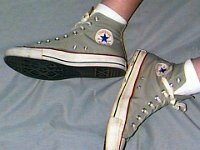 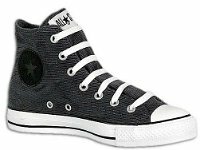 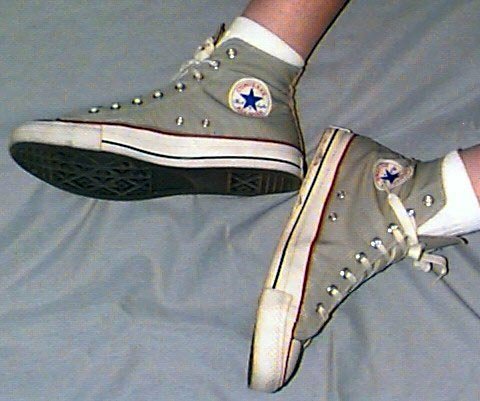 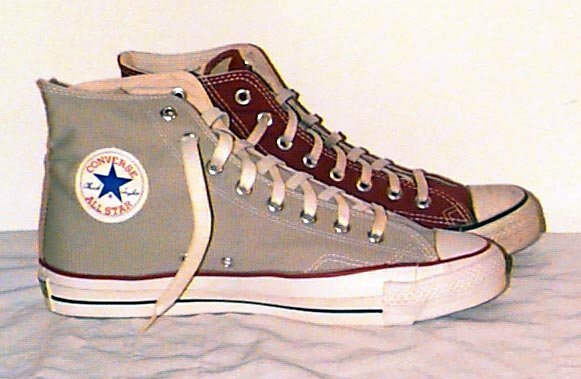 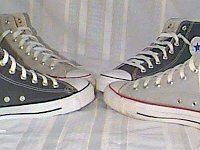 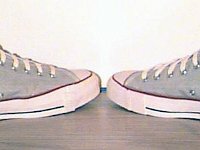 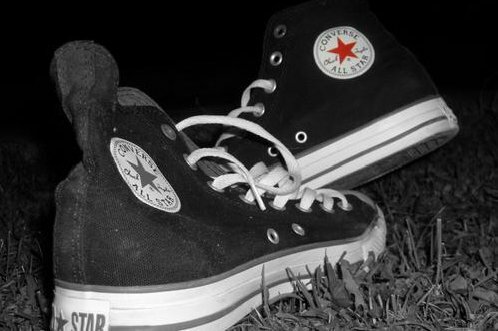 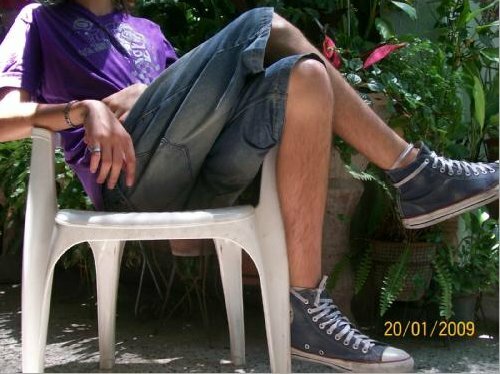 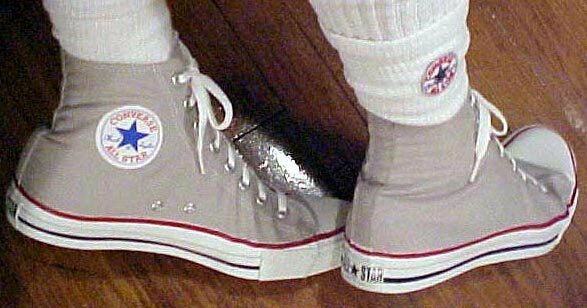 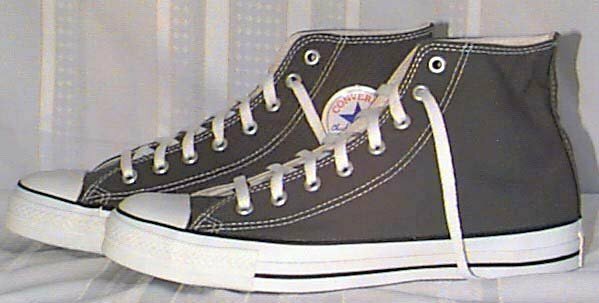 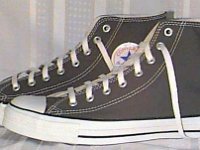 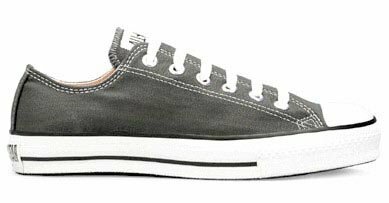 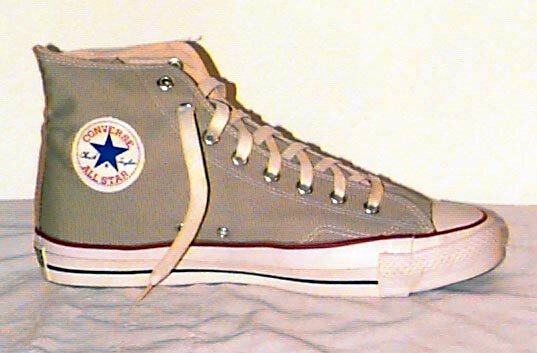 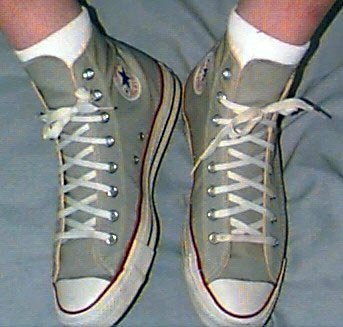 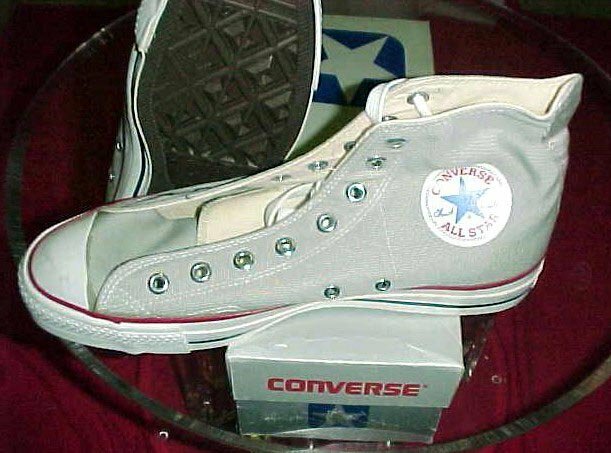 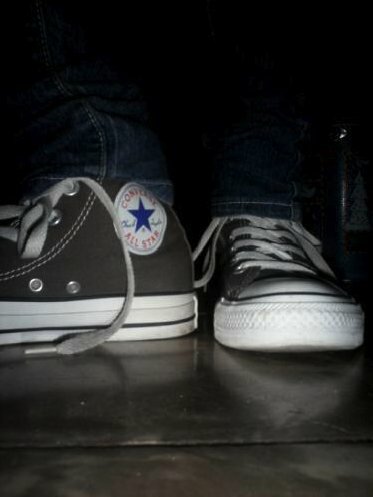 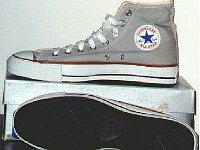 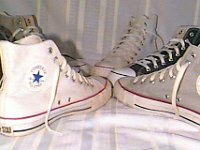 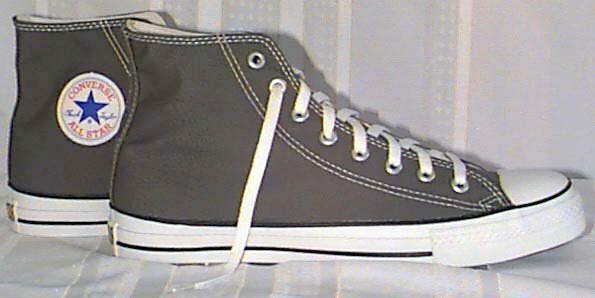 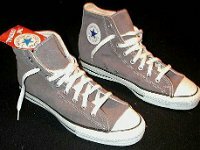 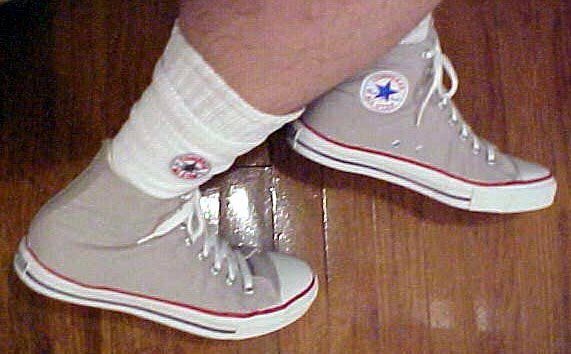 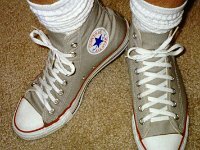 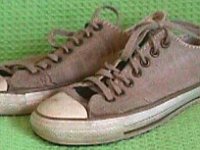 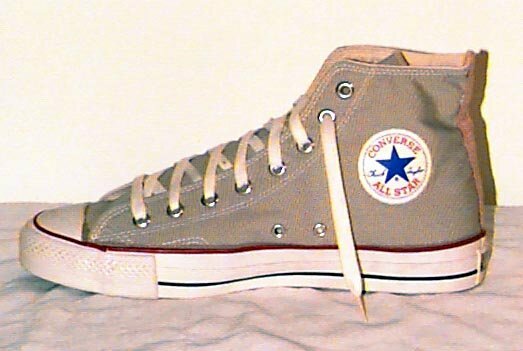 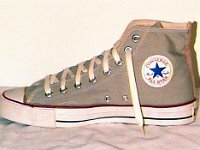 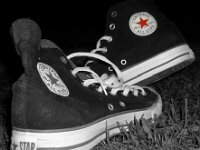 Photo gallery of various high top and low cut models of grey chucks. 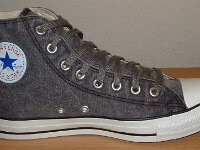 1 Grey Chucks Right charcoal grey high top, inside patch view. 2 Grey Chucks Left charcoal high top, inside patch view. 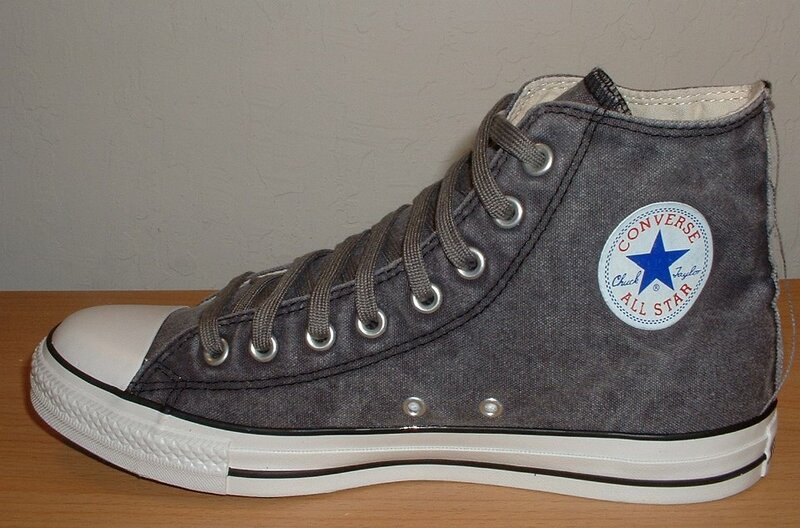 3 Grey Chucks Charcoal high tops, angled front view. 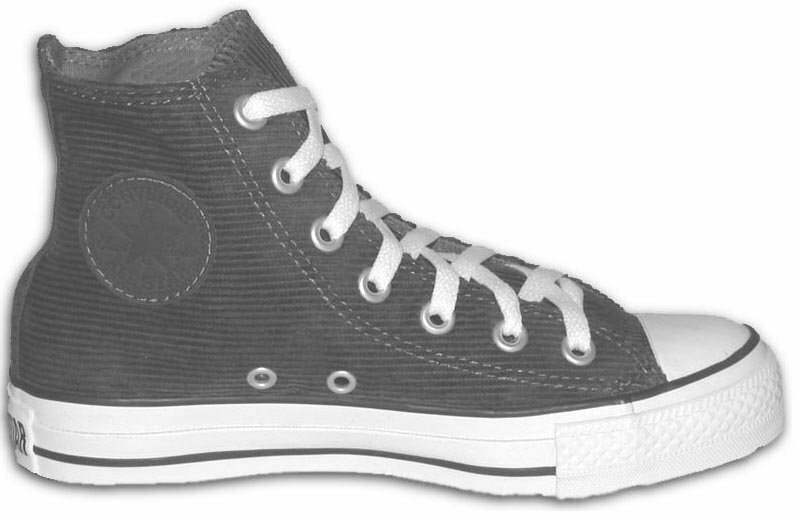 4 Grey Chucks Charcoal high tops, front view. 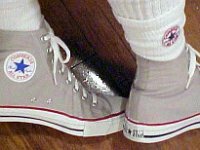 5 Grey Chucks Charcoal high tops, rear view. 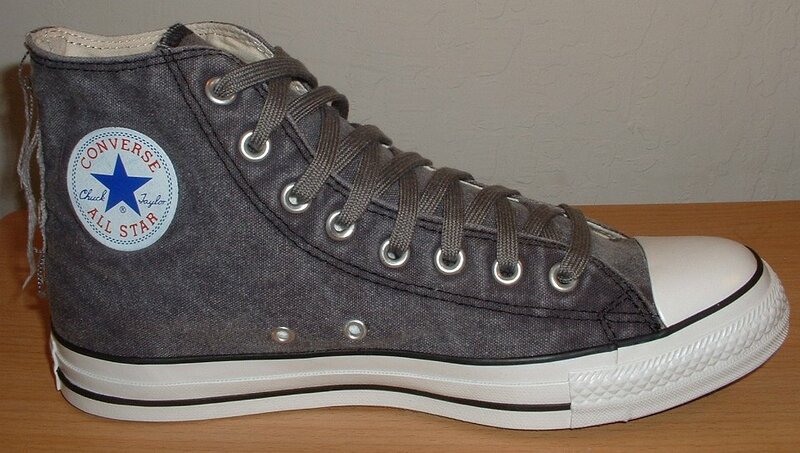 6 Grey Chucks Charcoal high tops, inside patch and sole views. 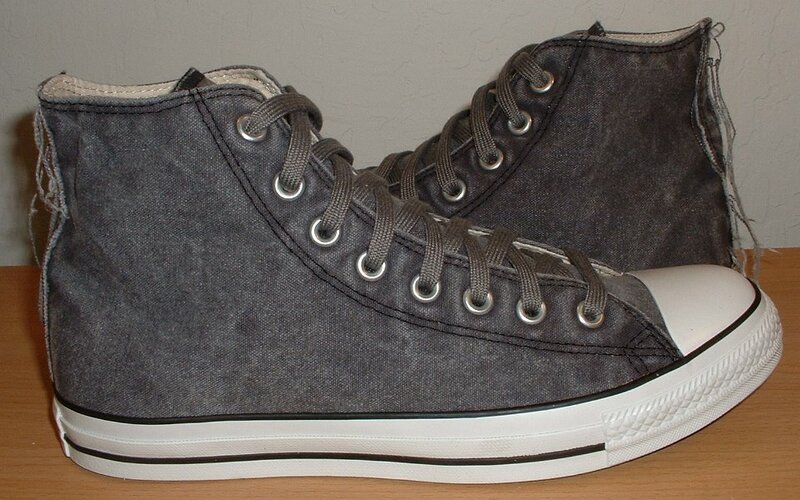 7 Grey Chucks Charcoal high tops, side view. 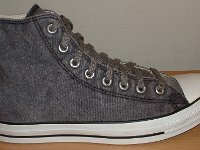 8 Grey Chucks Charcoal high tops, opposite side view. 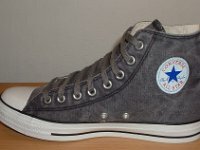 9 Grey Chucks Charcoal high tops, outside view. 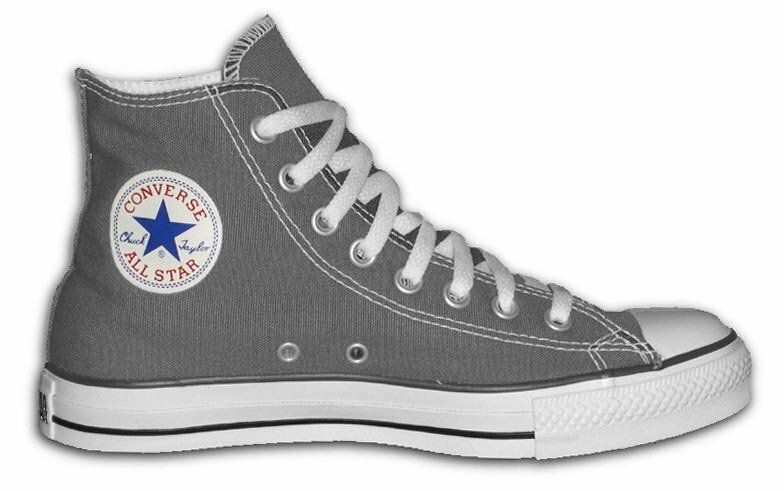 10 Grey Chucks Left charcoal high top, inside patch view. 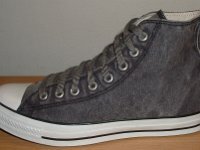 11 Grey Chucks Grey corduroy high top, angled side view. 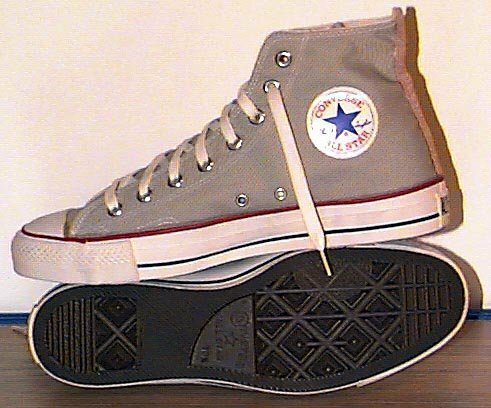 12 Grey Chucks Grey corduory high top, inside patch view. 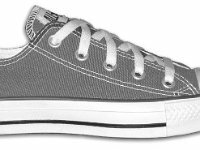 13 Grey Chucks Canvas charcoal low cut, side view. 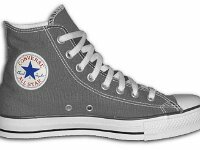 14 Grey Chucks Charcoal and vintage grey high tops. 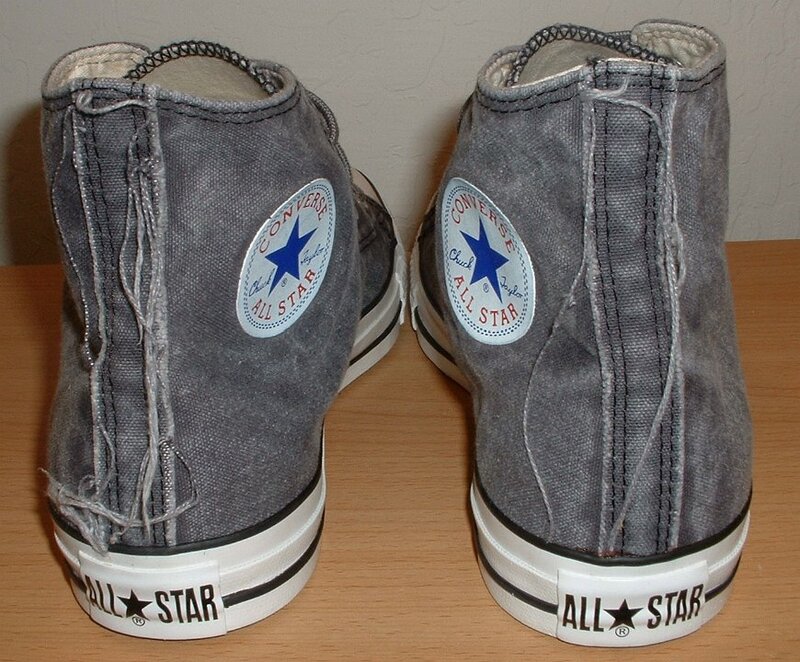 15 Grey Chucks Charcaol suede low cut, side view. 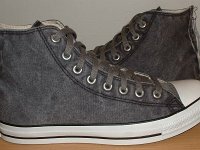 16 Grey Chucks Inside patch view of a right distressed black high top. 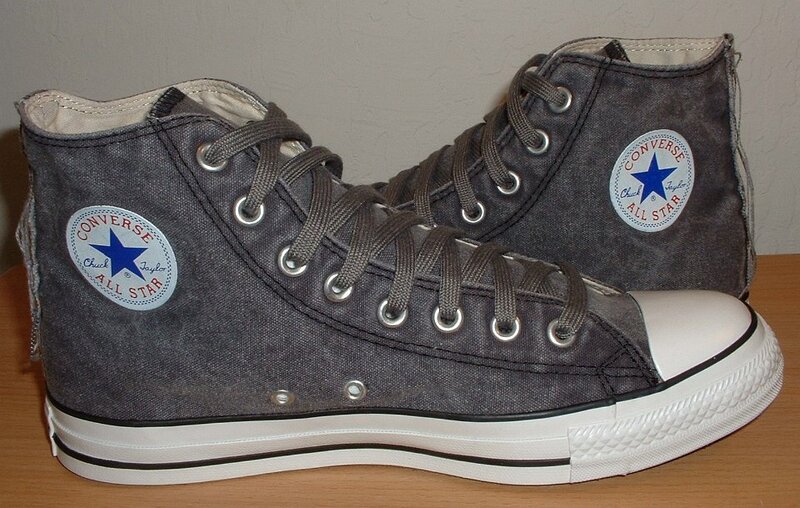 17 Grey Chucks Outside view of a right distressed black high top. 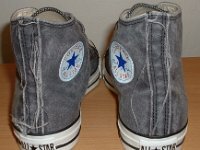 18 Grey Chucks Inside patch view of a left distressed black high top. 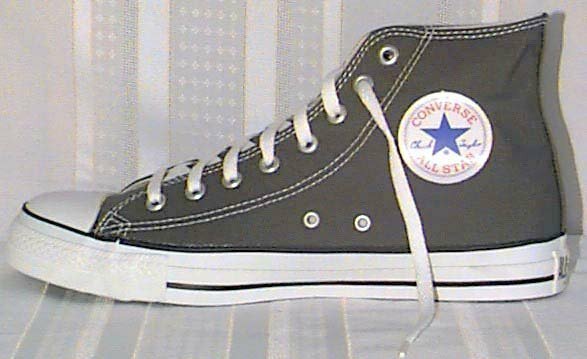 19 Grey Chucks Outside view of a left distressed black high top. 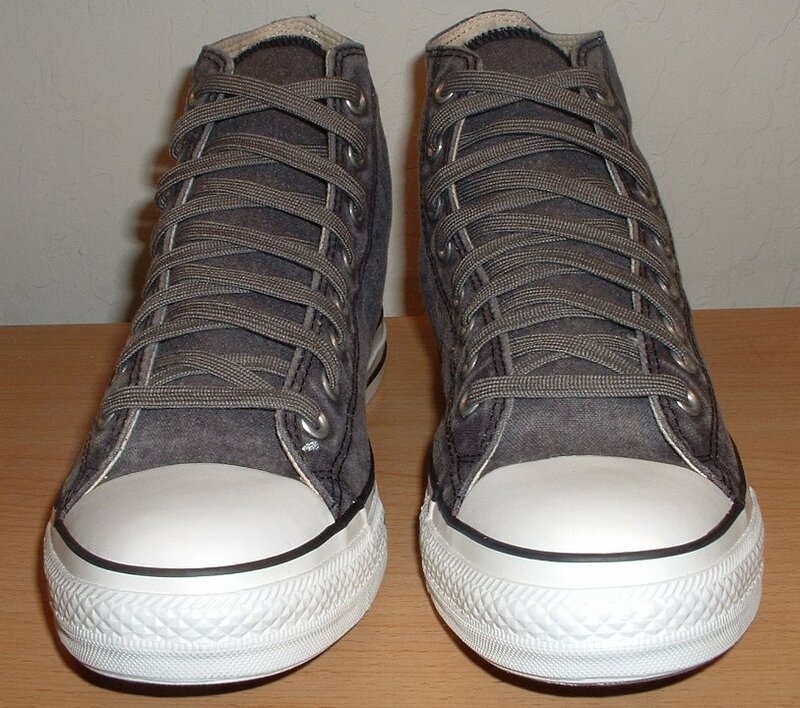 20 Grey Chucks Rear view of distressed black high tops. 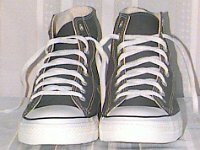 21 Grey Chucks Front view of distressed black high tops. 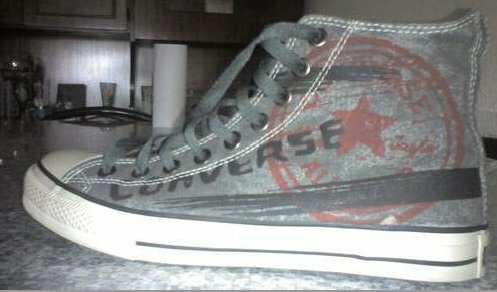 22 Grey Chucks Inside patch views of distressed black high tops. 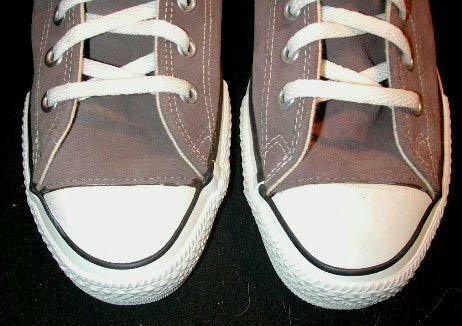 23 Grey Chucks Outside views of distressed black high tops. 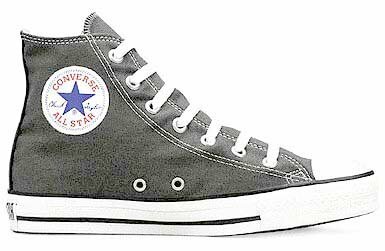 24 Grey Chucks Inside patch and sole views of distressed black high tops. 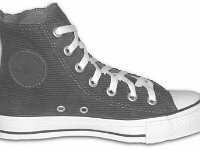 25 Grey Chucks Angled front views of distressed black high tops. 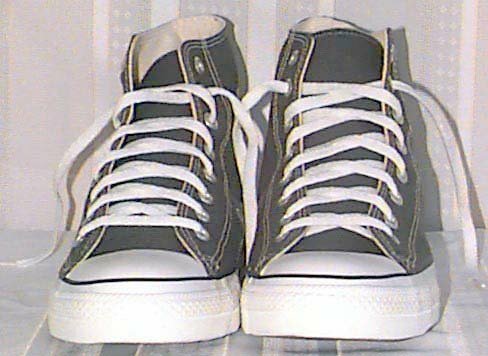 26 Grey Chucks Top view of distressed black high tops. 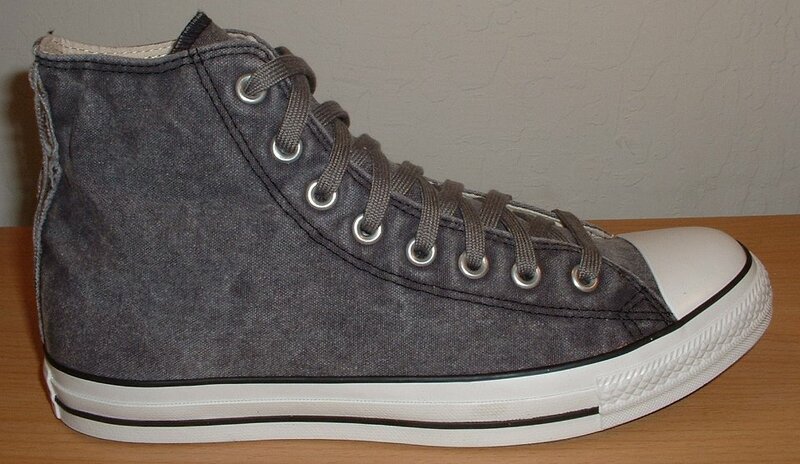 27 Grey Chucks Grey suede high tops, angled side view. 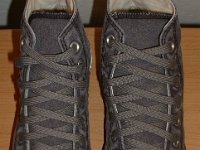 28 Grey Chucks Grey suede high tops, closeup of toe caps. 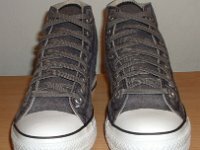 29 Grey Chucks Grey high tops, angled side view. 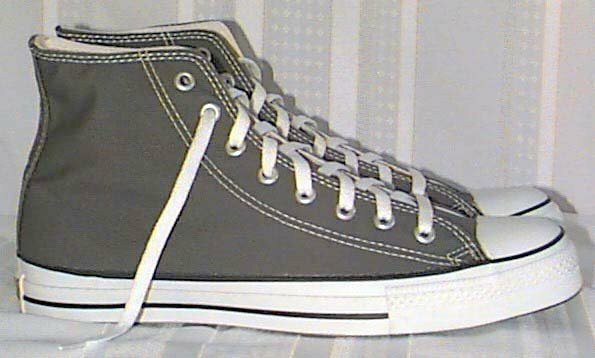 30 Grey Chucks New vintage grey high tops with box. 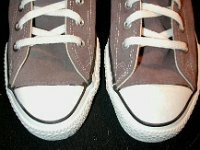 31 Grey Chucks Grey vintage high tops, angled inside patch view. 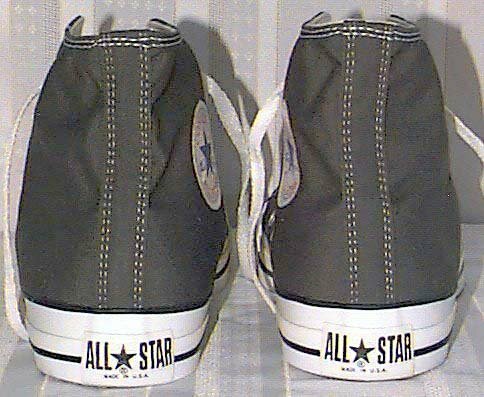 32 Grey Chucks Grey vintage high tops, right inside patch and sole view. 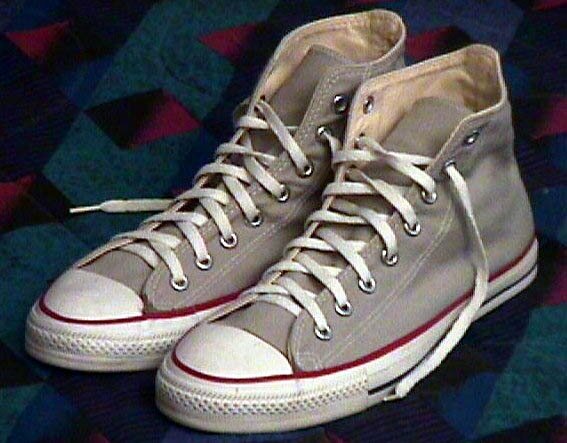 33 Grey Chucks Grey vintage high tops, angled front view. 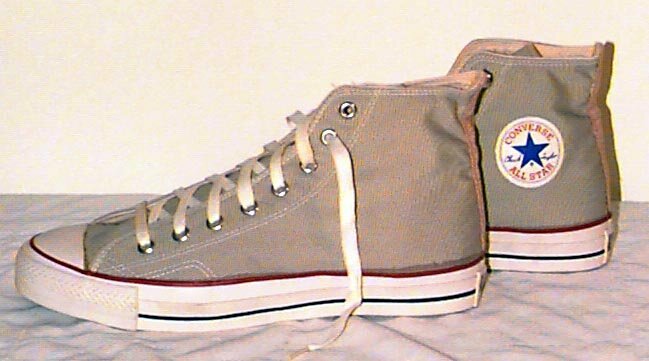 34 Grey Chucks Grey vintage high tops, front view. 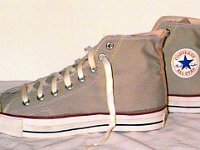 35 Grey Chucks Grey vintage high tops, side view. 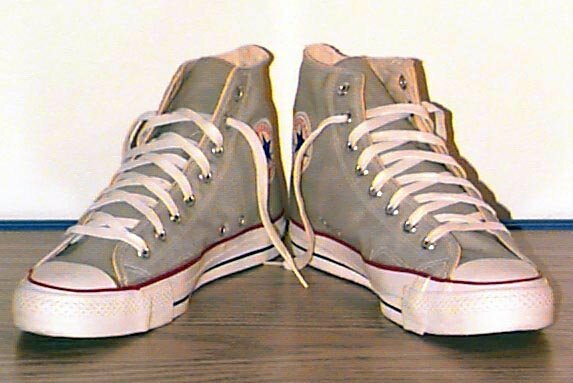 36 Grey Chucks Right vintage grey high top, inside patch view. 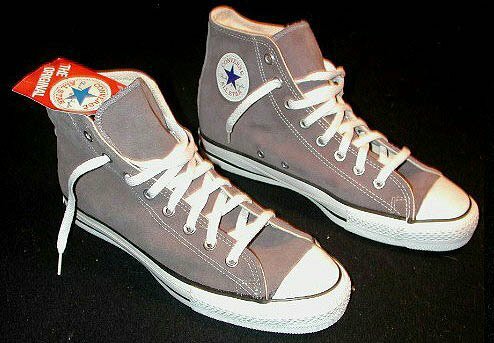 37 Grey Chucks Left vintage grey high top, inside patch view. 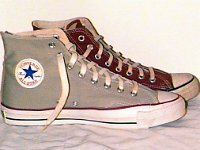 38 Grey Chucks Vintage grey and maroon high tops, side view. 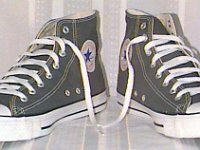 39 Grey Chucks New vintage grey high tops, with box. 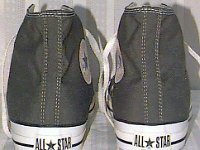 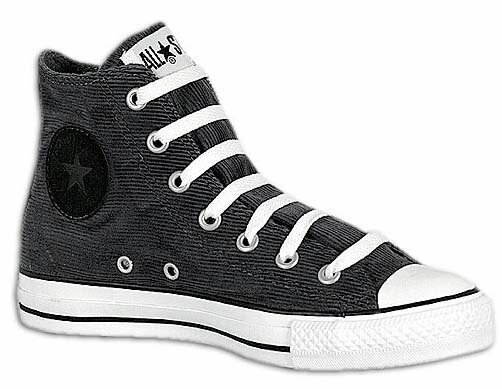 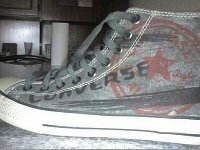 40 Grey Chucks Black and grey high top chucks, rear and inside patch views. 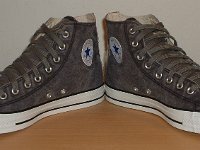 41 Grey Chucks Well worn grey low cuts, angled side view. 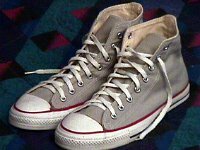 42 Grey Chucks Grey linen low cuts, with grey laces. 43 Grey Chucks New vintage grey low cut, side view. 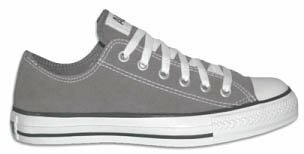 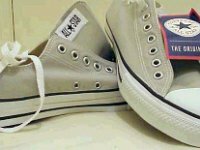 44 Grey Chucks New grey low cut chucks with tag. 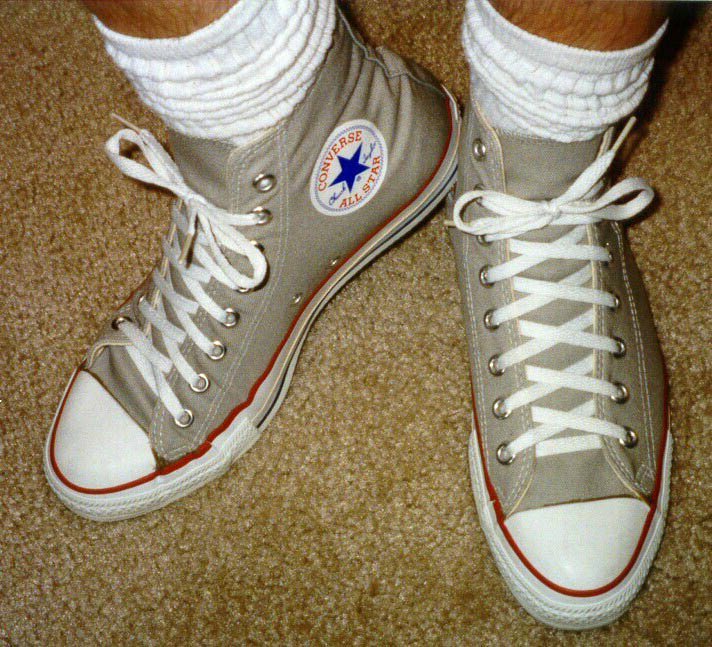 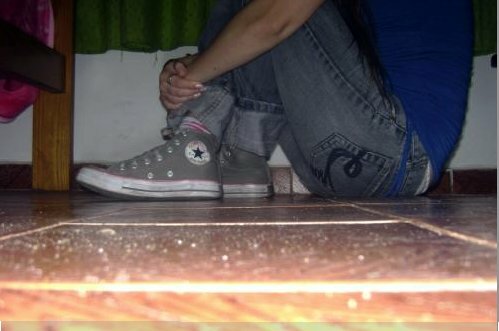 45 Grey Chucks Grey and white high tops in a circle. 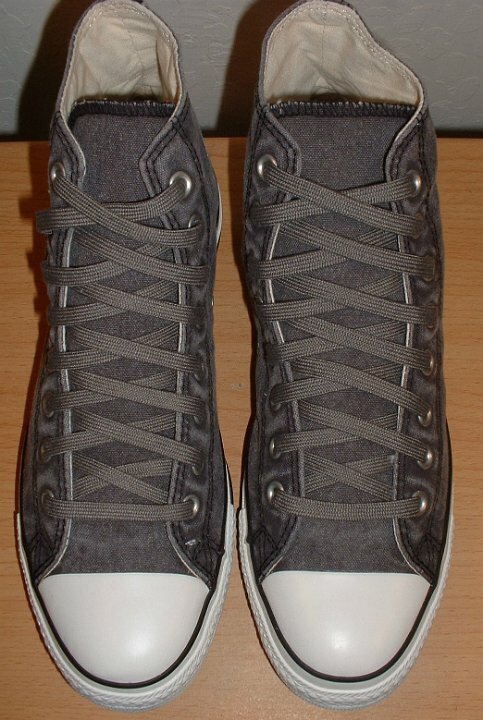 46 Grey Chucks Grey low cuts with offset laces. 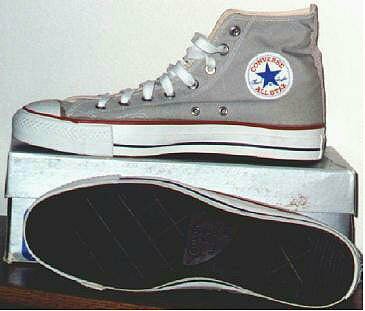 47 Grey Chucks Grey print high top chuck. 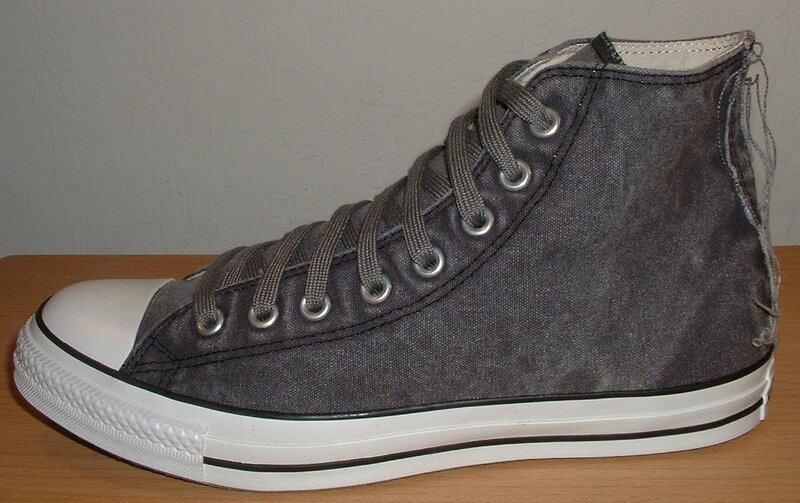 48 Grey Chucks Left urban chic high top, inside patch view. 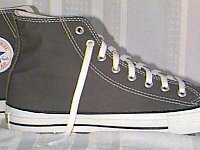 49 Grey Chucks Urban chic low cut, side view. 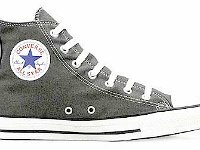 50 Grey Chucks Wearing charcoal high top chucks. 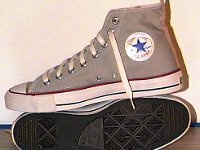 51 Grey Chucks Wearing grey high top chucks, side view. 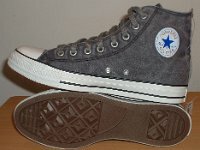 52 Grey Chucks Wearing vintage grey high tops, inside patch views. 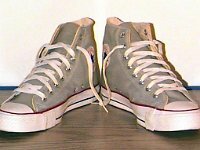 53 Grey Chucks Wearing vintage grey high tops, top view. 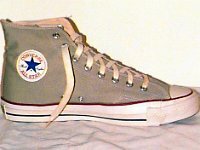 54 Grey Chucks Wearing vintage grey high tops, side view. 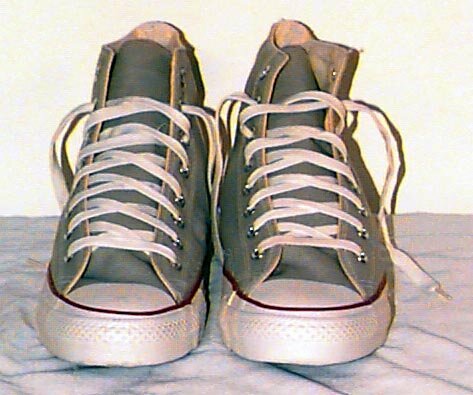 55 Grey Chucks Wearing vintage grey high tops, side view. 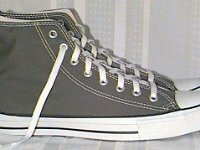 56 Grey Chucks Groom wearinig vintage grey high tops. 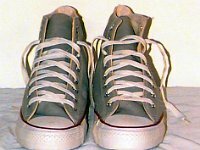 57 Grey Chucks Wearing vintage grey high tops, top view. 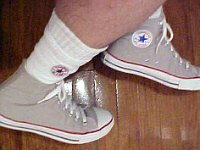 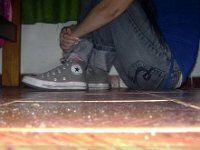 58 Grey Chucks Teen wearing charcoal grey high top chucks. 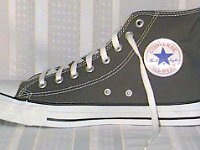 59 Grey Chucks Wearing charcoal chucks.